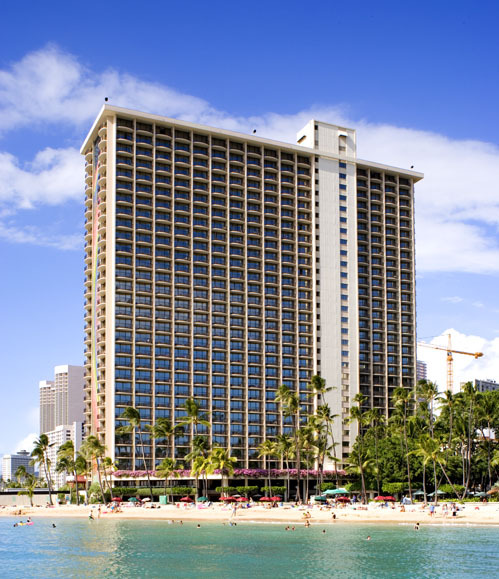 A shot of the newly tinted Rainbow Tower . . one of the most recognizeable landmarks in Waikiki.